This resource from Boxford presents CAD files and description of a CNC routed wooden hourglass. Supporting videos show how Ikea products are designed and manufactured. 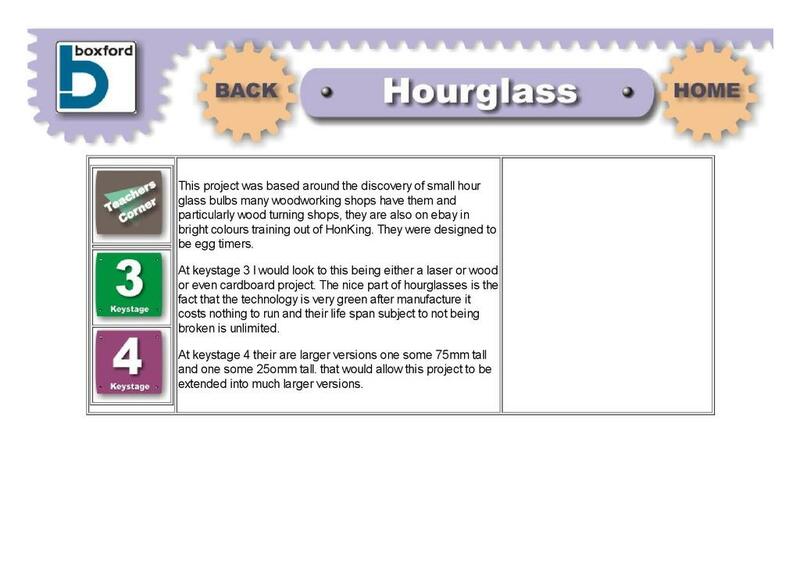 A photograph shows the hourglass and background information about the project is described. Materials and sizes are given along with a detailed description of how the hourglass was made. Curriculum links include using CAD/CAM to produce complex products. How is 3D Printing used in society?